Home > Dining and Gourmet > Cafe > Starbucks: Pumpkin Spice Latte is Back! 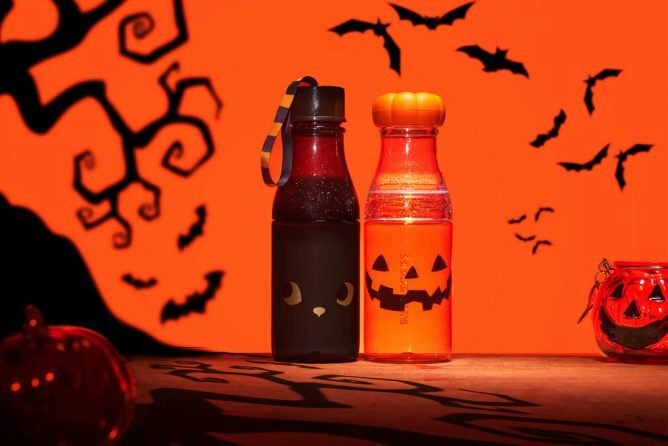 Plus NEW Zombie Frappuccino®, Spooky Treats & Merchandise! From 17 Oct 2018 Starbucks: Pumpkin Spice Latte is Back! 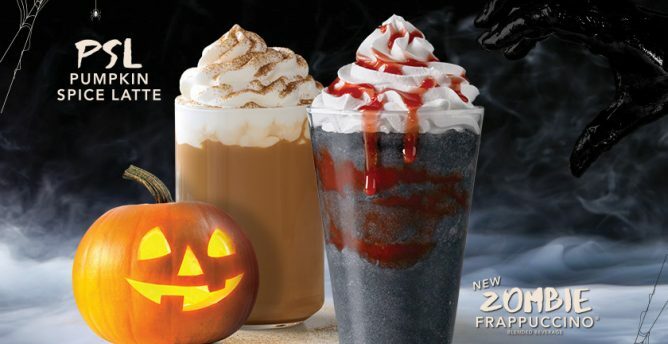 Plus NEW Zombie Frappuccino®, Spooky Treats & Merchandise! NEW drinks to try starting tomorrow at Starbucks! 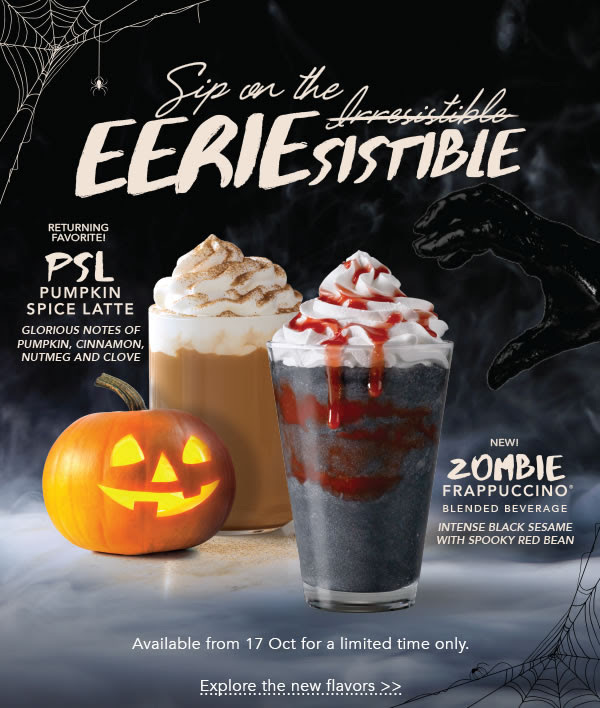 Grab the new Zombie Frappuccino® Blended Beverage which is a Singapore exclusive or the popular Pumpkin Spice Latte! Zombies might live forever but these drinks are available for a limited time only. 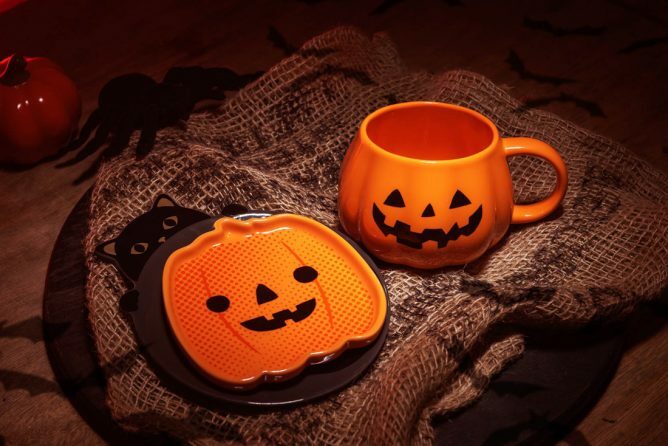 Also don't miss the Spooky treats and merchandise inspired by Halloween! 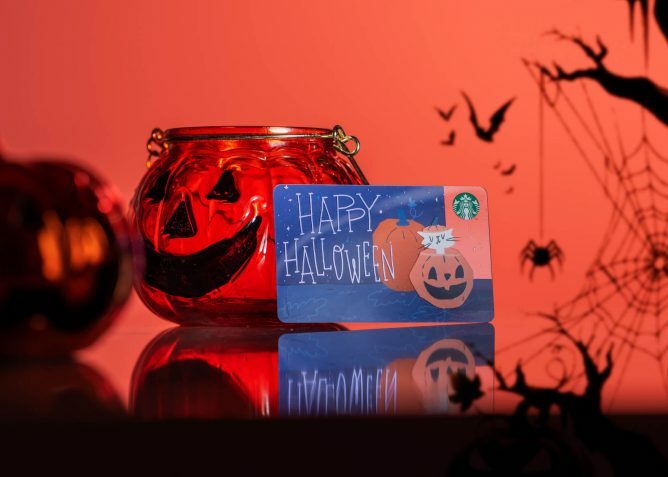 Receive a Halloween Starbucks Card* when you spend a minimum of $10 in one receipt. (Purchase to include either a Zombie Frappuccino® or a Pumpkin Spice Latte.) While stocks last, T&Cs apply. Walk, run or drag one foot with your arms outstretched to grab the new Zombie Frappuccino® Blended Beverage. A Singapore exclusive, this drink is more treat than trick with intense and fragrant black sesame, perfectly bringing out the subtle sweetness of red bean. The fang-tastic drink is then topped with a red drizzle on fluffy whipped cream. 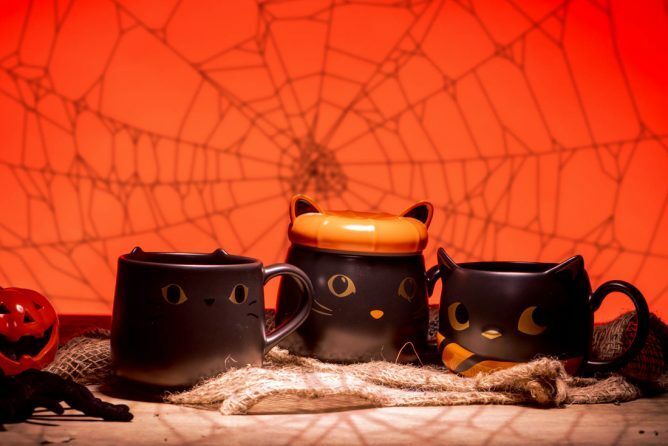 Joining the Halloween monster bash is the popular Pumpkin Spice Latte. Cozy up to the latte that’s overflowing with glorious notes of pumpkin, cinnamon, nutmeg and clove. 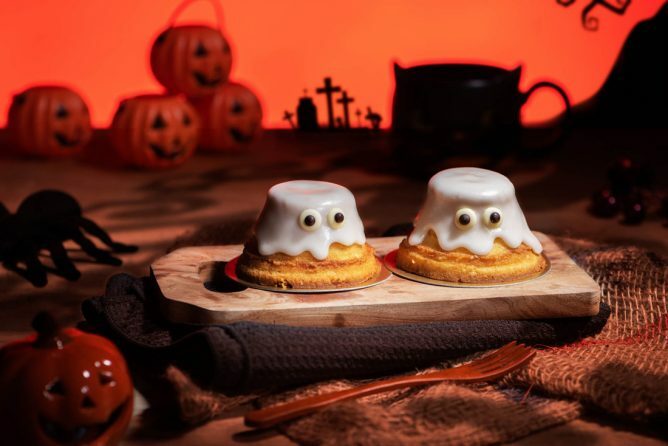 Enjoy it topped with whipped cream and real pumpkin pie spices. Available hot, iced and blended. *Available at all Starbucks Singapore stores, from 17 Oct. Halloween Starbucks Card is not loaded with any value. Reloading of Starbucks Card is not valid for this promotion. Limited to 1 redemption per receipt. 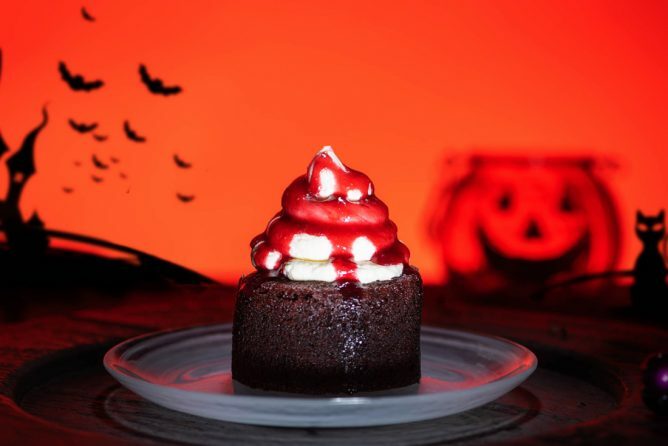 Sink your fangs into this Spooktacular red velvet cake that’s complete with raspberry drizzle. Play peek-a-boo with our lemon drizzle cake. 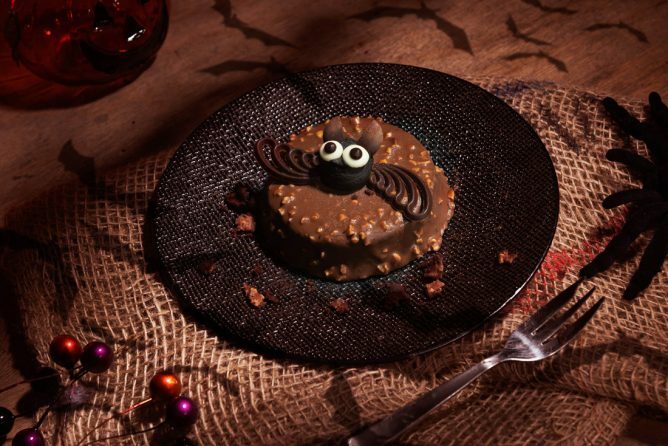 A bat-ter almond chocolate cake that will delight chocolate lovers. All dressed up, for the biggest party of the year. Mr Pumpkin and his wide-eyed best friend. Plate set is available at selected stores only. Date-night ready, on the darkest night of the year.